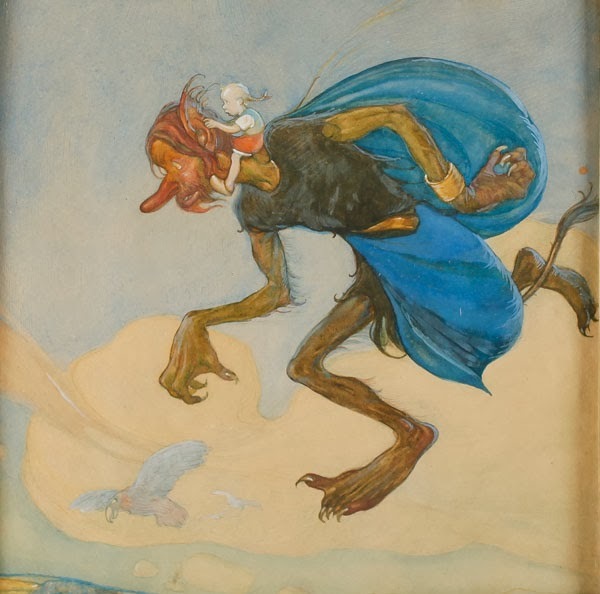 Here’s a picture of a kid riding through the sky on a giant troll by Swedish artist Gustaf Tenggren. The detail shows the loving exaggeration of the nose, the droopy lip, and the tendrils on the ear. I love the worried expression of the rider. 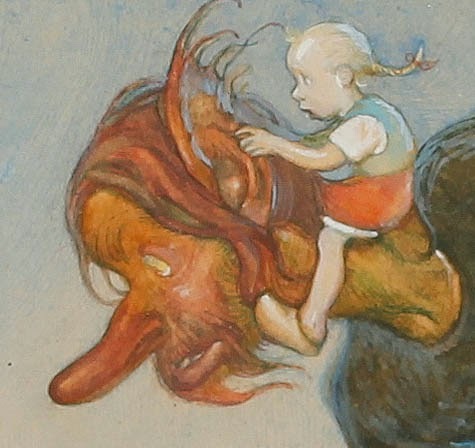 Speaking of young person riding a giant magical humanoid through the sky, I’m reminded of one of my favorite pictures, painted in watercolor by José Segrelles (1885-1969). 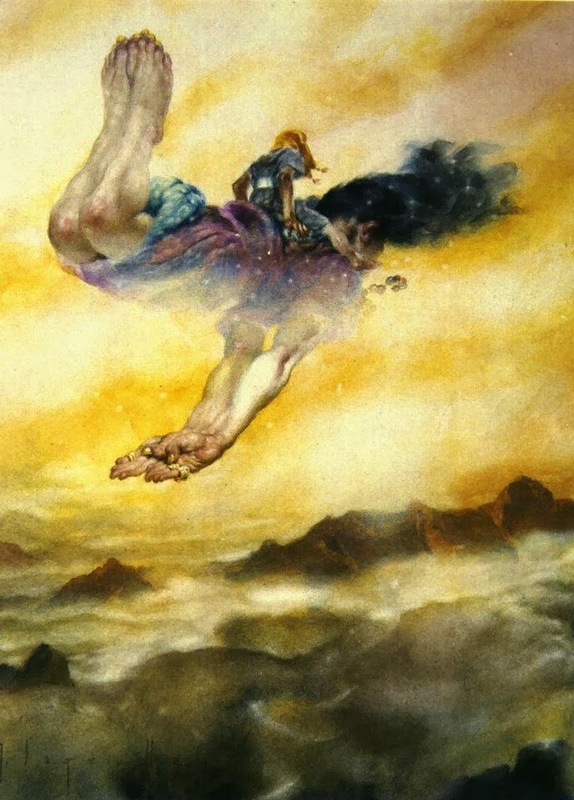 It shows a young man flying on the back of a genie. You can’t see either of their faces, only the paired hands and feet of the giant, who swims through the golden vapors, his hair and the hem of his garment blown forward by a spice-scented tailwind. There’s not enough published about Segrelles on the web, so please share this one with people who you think might like it. There’s only one good book on Segrelles that I know of, Jose Segrelles Albert: Su vida y su obra (Spanish Edition) , rather expensive, but well worth it, especially if you can read the Spanish. This entry was posted in Archive, Feedbin and tagged Favourite, Feedbin, Gurney Journey on 27/01/2014 by John.